Do you know what a false flag event is? Real or False? Before you decide that you know exactly what I am talking about, please allow me to make it clear, I am not addressing a specific incident, I am merely asking questions about history in general and reported incidences, both nationally and globally, some recent, some not so recent, and your perceptions/reactions to them. Do you know what a false flag event is? No, seriously, have you ever bothered to look into it? 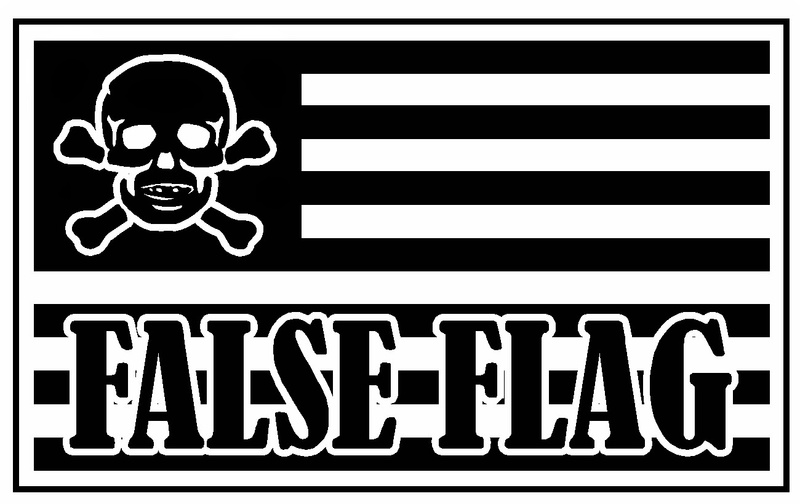 False flag (or black flag) describes covert operations designed to deceive in such a way that the operations appear as though they are being carried out by entities, groups, or nations other than those who actually planned and executed them. Now then, that is a strict, textbook definition. Having read that, do you believe that there are/were governments throughout the course of history that have used false flag events to push an agenda or as a means to an end? Can you name any such incidences (Use scholarly/respected resources, not "Joe's Blog)? Can you think of any reasons that a government, or factions within a government, might use a false flag event? Do you believe that YOUR government, or factions within your government, are capable of creating a false flag event? Does your government, or factions within your government, have an agenda(s) that it wishes to push for which a false flag event might prove useful? Continuing with the questions: Do you always or ever believe/trust your government and its appointed spokesmen? At any level? Do you always or ever believe/trust the mainstream media (MSM) when it reports on various incidences nationally or around the world? Do you think that a government and a media that knows all too well a people's propensity for believing anything they see on TV would use that medium to deceive those people? Just a few more: Have you ever heard someone say something or try to make a point about something, only to call them crazy and deny that any such thing could/would/did happen, only to find out later that you were the one who was wrong? Did you apologize and acknowledge that you were mistaken? Are you willing to accept that as there are evil people around the globe, yes, even here in the good ol' U.S. of A., and that those evil people may even occupy positions of authority and power, and that those people care only for themselves and acquiring more wealth and power, and that those people have access to the means to deceive, that they may, in fact, use those means and, in fact, deceive? Look, folks, I can handle the name-calling and being told I'm crazy, hell, people said I was crazy when I told them Eric Cantor was not a "conservative," but we know how that turned out. What I cannot abide is a stubborn, willful ignorance/unwillingness to even entertain the possibility that false flags can and have occurred. History is replete with them. You do yourself and others a grave disservice when you prefer to dismiss any and all information that you think is "too far out there," and meekly accept what the MSM and government, the same MSM and government that you don't trust on any other subject, say happened, just because they tell you it is so. Have I been wrong about some of my assertions? As I am human I have been wrong more than a couple of times, but I was not wrong because of a lack of skepticism or a willingness to ask questions, even questions that might get me called names. I want the truth and I would hope that you do as well. That is why I am not afraid to be skeptical, ask questions, demand proof, and recognize the lessons that history teaches us. Thanks, I had to get that off my chest.